Evidence Law - No presumption can be raised against the accused either of fact or in evidence, whatever evidence is available on record, is to be read as it is. Satish @ Chattish & Ors. v. State of U.P. Brijesh Kumar v. State of U.P. 1. Since both the appeals have been filed against a common judgment, the same are being decided by a common judgment. 2. These appeals arise against the judgment of conviction and order of sentence dated 10.03.2006 passed by the Additional Sessions Judge/F.T.C.-IInd, Pratapgarh in Sessions Trial No.566 of 1994, arising out of Case Crime No.30 of 1992, under Sections 148, 307/149, 302/149 I.P.C., Police Station Sangipur, District Pratapgarh, whereby the learned Additional Sessions Judge has convicted the accused-appellants namely Chattish @ Satish, Saheb @ Sushil Kumar, Sante @ Vijay Kumar, Brijesh Kumar and Harish Mishra under Sections 302 read with Section 149, 307 read with Section 149 & 148 I.P.C. and sentenced them under Section 302 read with Section 149 I.P.C. to undergo life imprisonment with fine of Rs.5,000/- each, under Section 307 read with Section 149 IPC for seven years rigorous imprisonment with fine of Rs.2,000/- each and under Section 148 I.P.C. for two years’ rigorous imprisonment with fine of Rs.1,000/- each, in default of payment of fine, they shall undergo sixmonths’ additional rigorous imprisonment under each aforesaid Sections. 3. At earlier occasion, the learned members of the Division Bench, Hon'ble Prashant Kumar and Hon'ble Dinesh Kumar Singh, JJ. hearing the appeals, had given different opinion and delivered separate judgements in the aforesaid appeals. Hon'ble Prashant Kumar, J. vide order dated 27.10.2018 allowed the aforesaid appeals and set aside the impugned order of conviction and sentence dated 10.03.2006. Hon'ble Dinesh Kumar Singh, J. vide order dated 27.10.2018 dismissed the aforesaid appeals upholding the impugned order of conviction and sentence. 4. In view of difference of opinion, the matter was laid before Hon'ble the Chief Justice under section 392 Cr.P.C and by order dated 17.11.2018 of the Hon'ble the Chief Justice, matter has been nominated to this Bench. “10. Statement of law is now quite explicit. It is the third Judge whose opinion matters; against the judgment that follows therefrom that an appeal lies to this Court by way of special leave petition under Article 136 of the Constitution or underArticle 134 of the Constitution or Under Section 379 of the Code. The third Judge is, therefore, required to examine whole of the case independently and it cannot be said that he is bound by that part of the two opinions of the two Judges comprising the Division Bench where there is no difference. As a matter of fact third Judge is not bound by any such opinion of the Division Bench. He is not hearing the matter as if he is sitting in a three Judge Bench where the opinion of majority would prevail". “Affidavit filed on behalf of Shri Shashi Kant Tiwari, Circle Officer/Deputy Superintendent of Police, Lalganj, Pratapgarh, in Court is taken on record. As per averments made therein, on the date of occurrence i.e. 11.02.1992 the age of the accused was 17 years 3 months and 7 days and his date of birth is 04.11.1974. According to learned counsel for appellant, since the appellant, Saheb @ Sushil son of Girja Shankar Mishra, was below 18 years on the date of occurrence, his case would be covered under the provisions of Juvenile Justice (Care and Protection of Children) Act, 2000. In addition to aforesaid submission of learned counsel and the averments made in the affidavit, we have also dealt with this point in Criminal Appeal No.1154 of 2009. “[7A. Procedure to be followed when claim of juvenility is raised before any court.- (1) Whenever a claim of juvenility is raised before any court or a court is of the opinion that an accused person was a juvenile on the date of commission of the offence, the court shall make an inquiry, take such evidence as may be necessary (but not an affidavit) so as to determine the age of such person, and shall record a finding whether the person is a juvenile or a child or not, stating his age as nearly as may be: Provided that a claim of juvenility may be raised before any court and it shall be recognised at any stage, even after final disposal of the case, and such claim shall be determined in terms of the provisions contained in this Act and the rules made thereunder, even if the juvenile has ceased to be so on or before the date of commencement of this Act. (2) If the court finds a person to be a juvenile on the date of commission of the offence under sub-section (1), it shall forward the juvenile to the Board for passing appropriate order, and the sentence if any, passed by a court shall be deemed to have no effect.]" Learned counsel also referred to a latest judgment of Hon'ble the Apex Court reported in (2010) 6 SCC 669 (Mohan Maliand another vs. State of Madhya Pradesh). In that case, the juvenile had been tried with other co-accused persons under Section 302/34, 326/34 and 324/34 IPC and had been sentenced to various terms of imprisonment including life imprisonment. Hon'ble the Apex Court having found that the accused appellant was a juvenile held that Rule 98 of the 2007 Rules, would squarely cover his case. It was also held that the case of a juvenile is to considered not only for grant of bail but also for the release in terms of the said Rules. “It is to be noted that prior to the date of occurrence the Madhya Pradesh Children Act, 1928 (in short the 'Children Act') was in force. The Juvenile Justice Act, 1986 (in short '1986 Act') was in operation on the date of occurrence. Subsequently, the Juvenile Justice (Care and Protection of Children) Act, 2000 (hereinafter referred to as '2000 Act') has been enacted. Under Section 2(h) of the 1986 Act, a juvenile is one who is below the age of 16 years. Under the 2000 Act under Section 2(k), a juvenile or child means a person who has not completed 18 years of age. The fact that on the date in question, i.e. on the date of occurrence and the date of production before the Court the appellant had notcompleted 18 years of age stands fully established on record. Section 16 of the 2000 Act provides that no juvenile shall be sentenced to death or imprisonment for life or committed to prison in default of payment of fine or in default of furnishing security. Section 20 provides for special provisions in respect of pending cases. The 2000 Act came into force on 11.4.2001. 7. The sentence and fine imposed on the appellant Saheb @ Sushil Kumar was suspended during the pendency of the appeal and the matter was referred to be dealt as per relevant provision of the Juvenile Justice (Care and Protection of Children) Act, 2000, but no outcome of the same is on record. Moreover, none has appeared on behalf of the appellant Saheb @ Sushil Kumar. In the result, it would be appropriate that the appeal of the appellant Saheb @ Sushil Kumar be separated to be dealt with at appropriate stage. Now, I proceed with the appeals of appellants namely Chattish @ Satish, Sante @ Vijay Kumar, Brijesh Kumar and Harish Mishra. 8. The facts and circumstances leading to this case in a nutshell are that the complainant Jagannath Verma lodged a written report dated 11.02.1992 stating therein that on the aforesaid date around 07:30 p.m., after finishing his dinner, he was sitting around fire place along with his nephew Krishna Kumar, due to political enmity, Chattish @ Satish son of Girja Shankar Mishra possessed with bomb, Sante @ Vijay Kumar son of Jata Shankar possessed with gun, Saheb @ Sushil Kumar son of Gijra Shankar Mishra possessed with country-made pistol, Brijesh Kumar son of Jata Shankar Mishra possessed with ‘Farsha’ and Harish Mishra son of Girja Shankar Mishra as well as Raj Narain son of Sukhanandan Mishra possessed with ‘lathi’ came and all of sudden, on exhortation by Harish Mishra and Raj Narain, Sante @ Vijay Kumar shot fired on his nephew Krishna Kumar with his gun and rest of them hurled bomb and fired with country-made pistol, due to which the complainant and his nephew received serious injuries. On raising alarm, his brother Baijnath, who washaving food inside, Ram Sunder, Gayadeen, Beni Madhav and number of people rushed to the place of incident, on account of which the accused persons fled away hurling abuses. While proceeding towards the police station concerned, his nephew died due to serious injuries received in the incident. The complainant took a jeep from village Basuapur to reach the police station concerned along with his nephew Krishna Kumar (deceased). On the aforesaid premise, first information report was lodged at Case Crime No.30 of 1992 under Sections 147, 148, 149, 302, 307, 504 I.P.C. against the accused persons. “1. Gun shot wound- On the right whole forearm, on posterior surface. Fresh oozing of blood seen through pellets mark. Whole forearm swollen with severe tender pellets mark is scattered. 11. The case was initially investigated by Inspector R.P. Singh (P.W.- 7), who recorded statement of witnesses, prepared site plan etc. and subsequently it was transferred to S.S.I. Shivaji Ram (P.W.-5), who submitted charge-sheet exhibit Ka-3 against the accused persons under Sections 147, 148, 149, 504, 506, 307, 302 I.P.C. The charges were framed under Sections 148, 307 read with Section 149 & 302 read with Section 149 I.P.C. against the appellants, who denied the charges andclaimed trial. 12. To bring home the guilt of the appellants, the prosecution has examined as many as 8 witnesses namely P.W.-1 Jagannath, P.W.-2 Ram Sundar, P.W.-3 Udai Bhan, P.W.-4 Dr. A.K. Nigam, P.W.-5 S.S.I Shivaji Ram, P.W.-6 Dr. D.N. Sharma, P.W.-7 Inspector R.P. Singh and P.W.-8 Dr. Atul Kumar Verma. 13. P.W.-1 Jagannath, complainant and injured of the case has deposed in his oral testimony that on 11.02.1992 around 07:30 p.m., when he was sitting around the fire place along with his nephew Krishna Kumar (deceased), due to political enmity, Chattish possessed with bomb, Sante @ Vijay Kumar possessed with gun, Saheb @ Sushil Kumar possessed with country-made pistol, Brijesh Kumar possessed with ‘Farsha’ and Harish Mishra as well as Raj Narain possessed with ‘lathi’ came and on exhortation by Harish Mishra and Raj Narain, Sante @ Vijay Kumar shot fired, with his gun, on the deceased, Saheb @ Sushil Kumar fired with country-made pistol and Chattish hurled bomb, due to which the complainant and his son Udai Bhan received injuries. On raising alarm, number of villagers gathered and the accused persons fled away. He has proved written report exhibit Ka-1 in his oral testimony. 14. P.W.-2 Ram Sundar has deposed on oath that he is well acquainted with the appellants, but when he reached the spot, he saw the deceased lying dead. He has further stated that he did not witness the appellants physically assaulting the complainant and the deceased. He has categorically stated that he did not see the appellants present at the spot and till he was there, nobody mentioned the name of the appellants vis-avis the alleged incident. 15. P.W.-3 Udai Bhan son of the complainant and injured of the case, has deposed in his oral testimony that on the date of incident, his father (complainant) and his cousin (deceased) were sitting around the fire placeafter having their dinner and, he was sitting on a cot in his ‘Madha’. The appellants possessed with gun, country-made pistol, ‘farsha’ and ‘lathi’ appeared and on exhortation by Harish Mishra and Raj Narain, Sante and Saheb shot fired on his father and cousin, which hit his cousin, who fell on the spot. He has further stated that his father received injuries due to fire shot by Saheb and the bomb hurled by Chattish. As soon as the appellants appeared and exhorted, he ran away towards the village and during that period, he received injuries from country-made pistol and bomb. Number of villagers including Ram Sundar and Gayadeen reached the spot and the appellants fled away. He has also stated that he took his cousin to the police station concerned with the help of villagers and his cousin died in between village and police station. When his father reached the police station, he filed written complaint of the said incident. He has proved recovery memo exhibit Ka-2 in his statement. 16. P.W.-4 Dr. A.K. Nigam was posted as Radiologist at District Hospital, Pratapgarh and has proved X-ray report exhibit Ka-2 and X-ray plate material exhibit Ka-1 in his oral testimony. 17. P.W.-5 S.S.I. Shivaji Ram is the second Investigating Officer of the present case, who submitted charge-sheet exhibit Ka-3 against the appellants on completion of the investigation. 18. P.W.-6 Dr. D.N. Sharma, Additional Chief Medical Officer, Sultanpur has proved injury reports of Jagannath and Udai Bhan exhibit Ka-5 & 6 in his oral testimony. 19. P.W.-7 Inspector R.P. Singh, Investigating Officer of the present case has proved lodging of F.I.R. and registration of the case at Case Crime No.30 of 1992 under Sections 302, 307, 147, 148, 149, 504, 506 I.P.C. and has proved site plan exhibit Ka-7, recovery memo exhibit Ka-8, exhibit Ka-9 and exhibit Ka-10 in his oral testimony. He has also proved prosecution papers exhibit Ka-11 to 16, recovery memo exhibit Ka-17 &18 in his deposition. He has also proved the signatures of H.M. Ram Singar on chik F.I.R. and G.D. exhibit Ka-19 and exhibit Ka-20 respectively. 20. P.W.-8 Dr. Atul Kumar Varma, who conducted postmortem of the deceased, has proved postmortem report exhibit Ka-21 in his oral testimony, substantiating the fact that the death of the deceased could have occurred at 07:30 p.m. on 11.02.1992. 21. Incriminating evidence and circumstances were put to the appellants under Section 313 Cr.P.C. in which they categorically stated that they have been falsely implicated in the present case due to political enmity. It has also been stated that the Investigating Officer has submitted charge-sheet on wrong and false facts as they have not committed the alleged offence. 22. The trial court held that the appellants committed the said offence and prosecution established the circumstances, proving the appellants’ guilty under Sections 302 read with Section 149, 307 read with Section 149 & 148 I.P.C. and sentenced them under Section 302 read with Section 149 I.P.C. to undergo life imprisonment with fine of Rs.5,000/- each, under Section 307 read with Section 149 IPC for seven years rigorous imprisonment with fine of Rs.2,000/- each and under Section 148 I.P.C. for two years’ rigorous imprisonment with fine of Rs.1,000/- each. Aggrieved by the verdict of the conviction, the appellants preferred the present appeals. 23. Heard Mr. Ravi Kant Pandey and Mr. Rakesh Mishra, learned counsel for the appellants and Mr. Rajesh Kumar Singh as well as Mr. Atul Kumar, learned A.G.A. for the State and perused the record. 24. Learned counsel for the appellants have submitted that the allegations made in the first information report by the injured complainantdo not correspond with the oral testimony of complainant examined as P.W.-1, as the testimony of P.W.-1 relates to the fact that the first information report was scribed by one Parmeshwar Gupta at village Basuapur which mentions Krishna Kumar as dead, whereas he has categorically stated that the death of the deceased occurred on way to police station eventually only one fact can be true. It has been argued by learned counsel for the appellants that false information has been given at the police station regarding alleged commission of offence. 25. It has further been argued by learned counsel for the appellants that the alleged firearm injury, as per prosecution case, has been caused by 12 bore gun, but as per postmortem report, single bullet was recovered from the neck of the deceased. Two empty 12 bore cartridges were recovered from the place of occurrence, which indicates that the fire was made by the alleged gun, but the prosecution has not connected the recovery of bullet from the neck of the deceased to the firearm from which it is alleged to have been shot. It has also been contended that the recovered bullet and the firearm was neither sent for expert opinion nor any ballistic report in this context has been filed, as such, the prosecution has failed to establish that the recovered bullet was fired from the alleged 12 bore gun. “20. There is yet another infirmity in this case. We find that whereas an empty had been recovered by PW6, ASI Raghubir Singh from the spot and a pistol alongwith some cartridges were seized from the possession of the appellant at the time of his arrest, yet the prosecution, for reasons best known to it, did not send the recovered empty and the seized pistol to the ballistic expert for the examination and expert opinion. Comparison could have provided link evidence between the crime and the accused. “14. Where the evidence of the witnesses for the prosecution is totally inconsistent with the medical evidence or the evidence of the ballistic expert, this is a most fundamental 2 (2009) 11 SCC 334defect in the prosecution case and unless reasonably explained, it is sufficient to discredit the entire case. “14. ... Where the direct evidence is not supported by the expert evidence, then the evidence is wanting in the most material part of the prosecution case and it would be difficult to convict the accused on the basis of such evidence. “17. First, the parties involved in the case namely, the victim, his brother, who was one of the eye-witnesses with other two eyewitnesses and the accused were known to each other then why the Complainant-brother of victim in his application (Ex-P-A) made immediately after the incident to the Chief Medical Superintendent, Pilibhit did not mention the name of the accused and instead mentioned therein "some sardars". 18. Second, according to the prosecution, the weapon used in commission of offence was recovered from the pocket of the accused the next day, it looked improbable as to why would the 3 (2018) 1 SCC 128accused keep the pistol all along in his pocket after the incident for such a long time and roam all over. 19. Third, the weapon (pistol) alleged to have been used in the commission of the offence was not sent for forensic examination with a view to find out as to whether it was capable of being used to open fire and, if so, whether the bullet/palate used could be fired from such gun. Similarly, other seized articles such as blood-stained shirt and soil were also not sent for forensic examination. 20. Fourth, weapon (Pistol) was not produced before the Magistrate concerned, as was admitted by the Investigating Officer. 21. Lastly, if, according to the prosecution case, the shot was hit from a very short distance as the accused and the victim were standing very near to each other, then as per the medical evidence of the Doctor (PW-6) a particular type of mark where the bullet was hit should have been there but no such mark was noticed on the body. No explanation was given for this. This also raised some doubt in the prosecution case. “9. … It is an established position in law that prosecution can succeed by substantially proving the version it alleges. It must stand on its own legs and cannot take advantage of the weakness in defence case. The Court cannot on its own make out a new case for the prosecution and convict the accused on that basis. 27. Learned counsel for the appellants has also argued that the injuries apart from firearm have not been explained by the prosecution. The injured have come up with the case of bomb, but nothing has been proved by the prosecution. There is no recovery to establish the case of bomb. It has also been submitted that presence of Udai Bhan (P.W.-3) at the place of occurrence is highly doubtful as his name do find mention in the first information report and the scriber of chik F.I.R. & G.D., Shri Ram Singar has not been produced, who may have cleared the block. Moreover, there are lot of discrepancies and contradictions in the evidence of witnesses which falsify the prosecution case. “29. It is well settled in law that the minor discrepancies are not to be given undue emphasis and the evidence is to be considered from the point of view of trustworthiness. The test is whether the same inspires confidence in the mind of the Court. If the evidence is incredible and cannot be accepted by the test of prudence, then it may create a dent in the prosecution version. If an omission or discrepancy goes to the root of the matter and ushers in incongruities, the defence can take advantage of such inconsistencies. It needs no special emphasis to state that every omission cannot take place of a material omission and, therefore, minor contradictions, inconsistencies or insignificant embellishments do not affect the core of the prosecution case and should not be taken to be a ground to reject the prosecution evidence. The omission should create a serious doubt about the truthfulness or creditworthiness of a witness. It is only the serious contradictions and omissions which materially affect the case of the prosecution but not every contradiction or omission. “25. In the case at hand, it is contended that there is no injury caused by lathi or ballam. Absence of any injury caused by a lathi cannot be the governing factor to rule out Section 34 IPC. It is manifest from the evidence that the accused-appellants had accompanied the other accused persons who were armed with gun and they themselves carried lathi and ballam respectively. “21. For instance PW15, in his cross-examination, had stated before the Court that Laleng had twisted the neck of the deceased. According to the accused, it was not so recorded in his statement under Section 161, Exhibit D/2 upon which he explained that he had stated before the police the same thing, but he does not know why the police did not take note of the same. Similarly, he also said that he had informed the police that the four named accused had dragged the body of the deceased and thrown it near the hand pump outside their house, but he does not know why it was not so noted in Exhibit D/2. There are some variations or insignificant improvements in the statements of PW3 and PW7. According to the learned counsel appearing for the appellants, these improvements are of such nature that they make the statement of these witnesses unbelievable and unreliable. We are again not impressed with this contention. The witnesses have stated that they had informed the police of what they stated under oath before the court, but why it was not so recorded in their statements under Section 161 recorded by the Investigating Officer would be a reason best known to the Investigating Officer. Strangely, when the Investigating Officer, PW16, was being cross-examined, no such question was put to him as to why he did not completely record the statements of the witnesses or whether these witnesses had made such aforementioned statements. Improvements or variations of the statements of the witnesses should be of such nature that it would create a definite doubt in the mind of the court that the witnesses are trying to state something which is not true and which is not duly corroborated by the statements of the other witnesses. That is not the situation here. These improvements do not create any legal impediment in accepting the statements of PW3, PW4, PW7 and PW15 made under oath. This Court has repeatedly taken the view that the discrepancies or improvements which do not materially affect the case of the prosecution and are insignificant cannot be made the basis for doubting the case of the prosecution. The courts may not concentrate too much on such discrepancies or improvements. The purpose is to primarily and clearly sift the chaff from the grain and find out the truth from the testimony of the witnesses. “12. The investigation was also stated to be defective since the gun was not sent for forensic test. In the case of a defective investigation the Court has to be circumspect in evaluating the evidence. But it would not be right in acquitting an accused person solely on account of the defect; to do so would tantamount to playing into the hands of the investigating officer if the investigation is designedly defective. (See Karnel Singh v. State of M.P. (1995 (5) SCC 518). 13. In Paras Yadav and Ors. v. State of Bihar (1999 (2) SCC 126) it was held that if the lapse or omission is committed by the investigating agency or because of negligence there had been defective investigation the prosecution evidence is required to be examined de hors such omissions carefully to find out whether the said evidence is reliable or not and to what extent, such lapse affected the object of finding out the truth. The contaminated conduct of officials alone should not stand on the way of evaluating the evidence by the courts in finding out the truth, if the materials on record are otherwise credible and truthful; otherwise the designed mischief at the instance of biased or interested investigator would be perpetuated and justice would be denied to the complainant party, and in the process to the community at large. 30. Considered the rival contentions and perused the impugned judgment and order of the trial court and material on record. 31. In the present case, the deceased Krishna Kumar was allegedly shot fired by Sante and the injured Jagannath P.W.-1 and Udai Bhan P.W.-3 received injuries from country-made pistol and bomb hurled by Saheb and Chhatish respectively when Krishna Kumar was sitting around fire place along with P.W.-1, after finishing his dinner on 11.02.1992. 32. The foremost argument of learned counsel for the appellants to be considered relates to the facts averred in the first information report regarding death of Krishna Kumar (deceased), which clearly indicates that the written report was scribed after the death of the deceased. If it is taken as true that written report was scribed after the death of the deceased, which happened on way to the police station concerned from village Basuapur, then the oral testimony of P.W.-1/complainant/injured that the first information report was scribed by Parmeshwar Gupta at village Basuapur becomes false as the death of the deceased occurred on way to police station concerned from village Basuapur, as such, it cannot be scribed at village Basuapur by Parmeshwar Gupta. As per the prosecution case, the complainant took a jeep from village Basuapur to reach the police station concerned, along with his nephew Krishna Kumar and on way, he died, thus it can beconcluded that the first information report was written after the death of the deceased, which occurred on way to police station concerned from village Basuapur, indicating that the statement of the complainant/injured/P.W.-1 regarding scribing of written report at village Basuapur by Parmeshwar Gupta is not true. A wrong statement regarding scribing of the written report do not falsify the prosecution case, but it certainly creates doubt vis-a-vis the veracity of the testimony of injured witness, whether he is deposing true facts before the court or not, more so whether he should be believed as a convincing injured witness as per settled law, according to which the testimony of injured witness has a special status in appreciation of evidence. Thus, the averments of the first information report and the oral testimony of injured witness cannot be accepted at a time by the test of prudence visa- vis death of the deceased and scribing of written report. The credibility of injured witness (P.W.-1) gets circumvented by periphery of doubt which may further affect the trustworthiness of prosecution case. 33. Now, I advert to the issue raised by learned counsel for the appellants regarding firearm used in the commission of crime, corresponding injury and recovered bullet from the neck of the deceased in the postmortem report. It is a positive case of the prosecution that the firearm used in the commission of crime is 12 bore gun, which was subsequently recovered also, and in postmortem bullet has been recovered from the neck of the deceased. It is, therefore, incumbent upon the prosecution to connect the firearm with the bullet recovered by cogent evidence, mere assumption that it must have been a cartridge packed with the bullet, will not suffice. Now, this could have been established either by ballistic or forensic report, but the same has not been produced by the prosecution, in spite of an averment to this effect in the charge-sheet submitted by the Investigating Officer. The prosecution cannot brush aside the burden of proof, on the premiseof defective investigation. 34. In the case of Sukhwant Singh (Supra), the Supreme Court held that this again is an omission on the part of the prosecution for which no explanation has been furnished either in the trial court or before us. It hardly needs to be emphasised that in cases where injuries are caused by fire-arms, the opinion of the Ballistic Expert is of a considerable importance where both the fire-arm and the crime cartridge are recovered during the investigation to connect an accused with the crime. 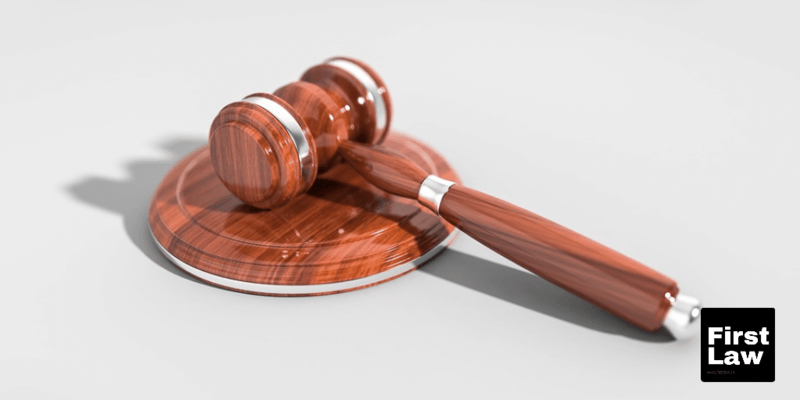 Failure to produce the expert opinion before the trial court in such cases affects the creditworthiness of the pros- ecution case to a great extent. 35. In the case of Mohinder Singh v. The State, (1950) SCR 821 : AIR 1953 SC 415 the Supreme Court held that in a case where death is due to injuries or wounds caused by a lethal weapon, it has always been considered to be the duty of the prosecution to prove by expert evidence that it was likely or at least possible for the injuries to have been caused with the weapon with which and in the manner in which they are alleged to have been caused. It is elementary that where the prosecution has a definite or positive case, it must prove the whole of that case. The same was again observed by the Supreme Court in the case of Mahendra Pratap Singh (Supra). 36. This argument has also been put forth that if there is any defect in the investigation, it will not result in acquittal of the accused. This fact is neither disputed nor disagreed, that the fault of the investigation do not affect the merit of the case, but where, there is discrepancy in the firearm alleged to be used in the commission of crime and the injury caused, bullet recovered from the body of the deceased, it is for the prosecution to connect the manner of assault and the injury caused. The perusal of the charge-sheet filed in the sessions court do indicate that the material was forwarded to the Forensic Laboratory, but no effort was made by the prosecution to procure the report and connect the firearm with the corresponding injury, thereby establishing its case against the appellants. The investigation is said to be defective on the premise that the gun was not sent for forensic test. In the case of Ram Bali (supra), the Supreme Court held that the investigation was also stated to be defective since the gun was not sent for forensic test. In the case of a defective investigation the Court has to be circumspect in evaluating the evidence. But it would not be right in acquitting an accused person solely on account of the defect; to do so would tantamount to playing into the hands of the investigating officer if the investigation is designedly defective. 37. In the instant case, the question is not of defective investigation as the relevant material was sent for forensic/ballistic test, but the report was not filed, more over it is one of the most decisive factor, which goes to the root of the case, in culminating into the fact, where a bullet can be fired by a 12 bore gun in normal course or not, whereas the prosecution as well as testimony of two injured witnesses indicate the fatal injury of the deceased was caused by 12 bore gun. If the stand of prosecution is that a bullet has been fired from a 12 bore gun, such positive assertion has to be proved by all avilable evidence, forensic/ballistic report being one of the most credible evidence. In the case of Jairnail Singh (supra), the Supreme Court has observed that if the weapon alleged to have been used in the commission of the offence was not sent for forensic examination with a view to find out as to whether it was capable of being used to open fire and, if so, whether the bullet/palate used could be fired from such gun also raises some doubt in the prosecution. 38. In absence of direct connecting evidence between the firearm and the recovered bullet from the neck of the deceased, assumption thatthe cartridge from 12 bore gun was a filler one filled with bullet recovered in the postmortem of the deceased is not tenable. It is the positive case of prosecution that the appellant Sante fired a shot from 12 bore gun, which hit the deceased and a bullet was recovered from the firearm injury, thus, firearm, used cartridge and recovered bullet required to be connected by cogent evidence not by assumption towards cartridge being a filler one. In the case of Suchand Pal (supra) the Supreme Court has observed that it is an established position in law that prosecution can succeed by substantially proving the version it alleges. It must stand on its own legs and cannot take advantage of the weakness in defence case. The Court cannot on its own make out a new case for the prosecution and convict the accused on that basis. Only when a conclusion is arrived at on the evidence and the substratum of the case is not changed, such a course is permissible. 39. In the case of Shanker (supra), the Supreme Court has observed that the Courts below, basing on their own assumptions and presumptions, have convicted the accused. Though every discrepancy and contradiction in the evidence of prosecution witnesses is not fatal to the case of the prosecution, but the contradictions in the case on hand goes to the root of the matter are material ones and basing on such evidence it is not advisable to convict the accused. In the case of Govindaraju @ Govinda (supra) the Supreme Court has observed that it is a settled canon of appreciation of evidence that a presumption cannot be raised against the accused either of fact or in evidence. Equally true is the rule that evidence must be read as it is available on record. 40. Undoubtedly, the prosecution has not come up with any link evidence between the crime and the accused. The assertion of comparison by Forensic Science Laboratory, in the charge-sheet, indicates that the link evidence could have been available at the instance of prosecution, but the same was not taken care of by the prosecution, instead emphasis has been laid on the assumed fact that the cartridge was a ‘Bharua Kartoos’ as such bullet has been recovered from the fatal firearm injury. As per settled principle of law, no presumption can be raised against the accused either of fact or in evidence, whatever evidence is available on record, is to be read as it is. In this case, admittedly, no link or connecting evidence between firearm and bullet is available and normally 12 bore gun do not have bullets in a shot. How the prosecution supports its version is quite surprising. 41. Next, is the proposition that where, there is discrepancy in ocular and medical evidence, ocular evidence is to prevail and the injured witness has to be believed, as his presence on the spot is never doubtful. The testimony of an injured witness has its own relevancy and efficacy as he has sustained injuries at the time and place of occurrence and this lends support to his testimony that he was present at the time of occurrence. Thus, the testimony of an injured witness is accorded a special status in law. (See Bhajan Singh alias Harbhajan Singh (supra)). 42. In the present case, P.W.-1 Jagannath and P.W.-3 Udai Bhan are the injured witness and they have categorically stated that the appellant Sante fired a shot from gun on Krishna Kumar (deceased), which hit him and the postmortem report confirms single fatal firearm injury on the neck of the deceased, recovering a bullet from the injury. If the injured witnesses are to be believed, the firearm injury should have been of cartridge fired by gun and as per medical evidence, a bullet has been recovered from single fatal firearm injury, which is not to be fired from a gun in ordinary course. Such is the importance of link of evidence, to take version of prosecution regarding ‘Bharua Kartoos’, which is missing on record. 43. The veracity of testimony of P.W.-1/complainant has been discussed earlier as such his credibility is not above board to inspire spotless confidence and P.W.-3/injured, was not exactly present at the spot, but was somewhere close-by, who received injuries while fleeing towards village, moreover his name do not find place in the first information report itself. How his name appeared in G.D., of police station concerned, is also not clarified. Another considerable discrepancy in the testimony of injured witness and prosecution version pertains to the theory of hurling bomb and the injuries caused to them by bomb explosion. The prosecution has neither come up with the case of bomb explosion nor explained such injuries, allegedly caused by bomb to the injured witnesses. The prosecution has also alleged use of country-made pistol during commission of crime and has also put forth an argument that the bullet might have been shot from the countrymade pistol and hit the deceased, but the same is the case that the bullet and the country-made pistol have not been connected by any cogent evidence and in such circumstance, the testimony of injured witness regarding fatal injury caused to the deceased by a gun do not correspond with the prosecution case as well as medical evidence. It has not been also clearly put up as a positive case by the prosecution. 44. In the case of Yogesh Singh (supra), the Supreme Court has observed that it is well settled in law that the minor discrepancies are not to be given undue emphasis and the evidence is to be considered from the point of view of trustworthiness. The test is whether the same inspires confidence in the mind of the Court. If the evidence is incredible and cannot be accepted by the test of prudence, then it may create a dent in the prosecution version. If an omission or discrepancy goes to the root of the matter and ushers in incongruities, the defence can take advantage of such inconsistencies. 45. In the case of Ram Narain Singh (supra), it was held that wherethe evidence of the witnesses for the prosecution is totally inconsistent with the medical evidence or the evidence of the ballistic expert, this is a most fundamental defect in the prosecution case and unless reasonably explained, it is sufficient to discredit the entire case. Further, it was observed that where the direct evidence is not supported by the expert evidence, then the evidence is wanting in the most material part of the prosecution case and it would be difficult to convict the accused on the basis of such evidence. From the above discussion of the evidence of the eye-witnesses including injured witnesses, their evidence does not at all inspire confidence and their evidence is running in conflict and contradiction with the medical evidence and ballistic expert's report in regard to weapon of offence, which was different from the one sealed in the Police Station. The High Court has, in our opinion, disregarded the rule of judicial prudence in converting the order of acquittal to conviction. The same has been considered in the Mahendra Pratap Singh (supra) by the Supreme Court. 46. In the above perspective, it can be logically concluded that the testimony of one injured (P.W.-1) is not trustworthy enough to prevail over the medical evidence, as discussed at the very outset and the other injured (P.W.-3) was not exactly present at the spot and he got injured while fleeing towards the village. Moreover, both the injured have categorically stated that their injuries were caused by country-made pistol and bomb, but there is neither any case of bomb explosion nor there is any recovery of bomb residue. The prosecution has not given any explanation of other injuries found on the body of the deceased. The testimony of P.W.-2 may also be taken into consideration, who was named as witness in the first information report, but he did not support the prosecution case. He specifically stated in his deposition that when he reached the spot Krishna Kumar (deceased) was lying dead and assailants have fled away, but no one in the crowd named the appellants as culprit. In the circumstance, ocular evidence of injuredwitness may not be given prevalence over medical evidence, which do not correspond with their testimony, creating doubt in the prosecution case. 47. To sum up, in the present case, the ocular evidence do not correspond with the medical evidence and ocular testimony do not inspire as much confidence to prevail over the medical evidence. The prosecution has failed to link the firearm, used cartridge and the bullet recovered from the fatal injury of the deceased. Though expert opinion or ballistic report may not have conclusive effect, but in this case, the link or connecting evidence goes to the root of the matter, as such, it needed to be clarified by the prosecution, which has not been done. The ocular evidence do not correspond with the prosecution case also, as the prosecution has not come up with the case of bomb explosion, whereas ocular evidence do mention it. The aforesaid appreciation of evidence lead to only one conclusion that the case has not been proved beyond reasonable doubt by the prosecution and the benefit has to go to the accused-appellants. 48. Thus, on the basis of analysis made herein above, this Court is of the view that the trial court’s finding on the point of holding guilty the accused appellants namely Chattish @ Satish, Sante @ Vijay Kumar, Brijesh Kumar and Harish Mishra for the offence under Sections 148, 307/149, 302/149 I.P.C. is not in accordance with the evidence and law and the same is not sustainable, and the appeals filed by the appellants namely Chattish @ Satish, Sante @ Vijay Kumar, Brijesh Kumar and Harish Mishra are liable to be allowed. 49. For all the reasons stated above, the appellants are entitled to the benefit of doubt and accordingly is entitled to acquittal. 50. In the result, the appeals are allowed and the judgment and order dated 10.03.2006 passed by the Additional Sessions Judge/F.T.C.-IInd,Pratapgarh in Sessions Trial No.566 of 1994 is hereby set aside so far as it relates to the appellants namely Chattish @ Satish, Sante @ Vijay Kumar, Brijesh Kumar and Harish Mishra. Appellants namely Chattish @ Satish, Sante @ Vijay Kumar, Brijesh Kumar and Harish Mishra are acquitted on benefit of doubt of the charges levelled against them. 51. The appellants namely Sante @ Vijay Kumar and Brijesh Kumar are in jail. They shall be released forthwith, if they are not wanted in any other case. The appellants namely Chattish @ Satish and Harish Mishra are on bail. They need not surrender. Their bail bonds and sureties stand discharged. 52. The Senior Registrar is directed to ensure compliance by forwarding a certified copy of this judgement to the court concerned forthwith.